Located on the eastern most edge of Santa Barbara County about 15 minutes southeast of Santa Barbara City, Carpinteria maintains its original small town charm. 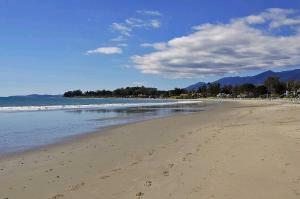 It's known as a surfer's paradise and provides access to the world renowned surfing area off Rincon Point. Along with its Sandy coastline, nestled in the nearby foothills, Carpinteria Valley supports some of the largest flower nurseries in the world. 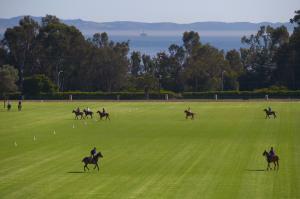 The area also is home to the Santa Barbara Polo and Racquet Club as well as other private polo fields and horse ranches. With its sunny, south-facing location and fertile environment, Carpinteria is considered the Flower Growing Capital of the World. Aside from succulents and cacti, dozens of varieties of flowers are grown here in the Carpinteria Valley. For a sample of what the local land has to offer--flowers, as well as fruit and vegetables--visit the weekly Farmers Market. View the very best Carpinteria real estate currently available at HarryKolb.com.